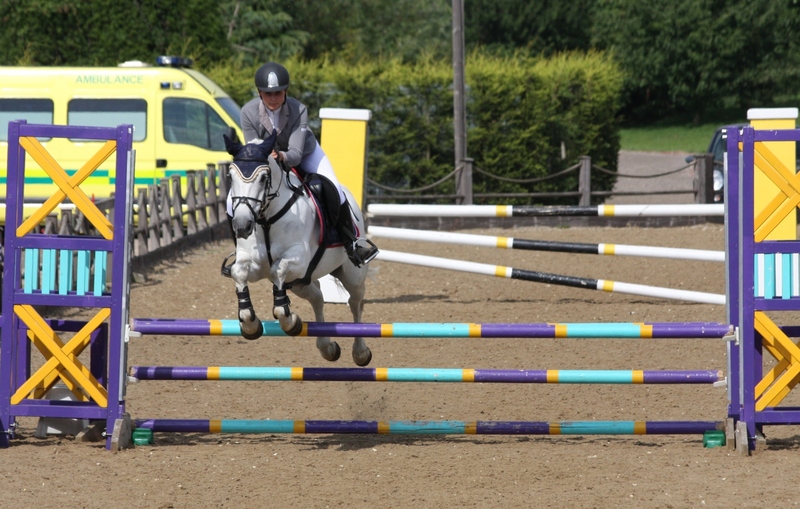 [Equihunter] Team Equihunter’s team rider Libby Newman enjoyed yet another successful day of competition, this time gaining a first place at Weston Lawns during the British Showjumping National Pony NAF 2* event. 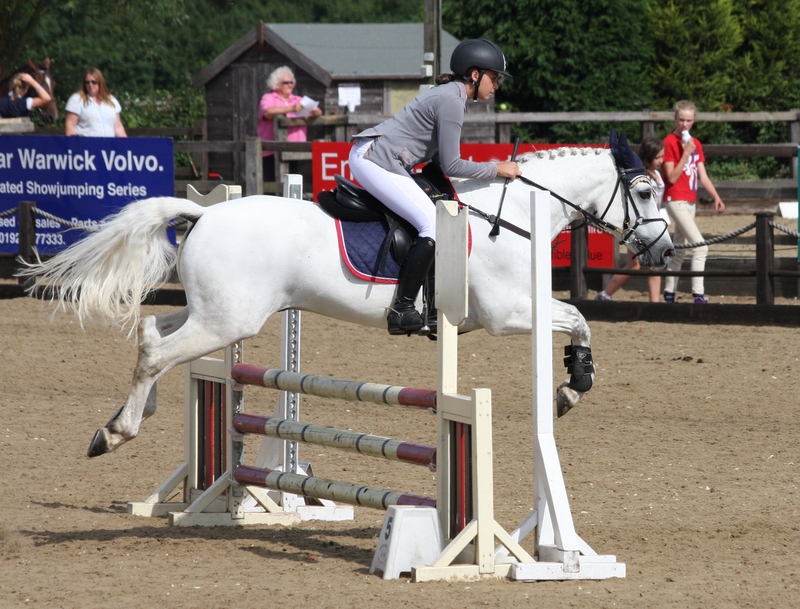 The Staffordshire based Weston Lawns Equitation Centre was hosting British Showjumping teams from all over the UK attending the Junior Inter-Academy Team Finals Competition held on 20th & 21st of August. 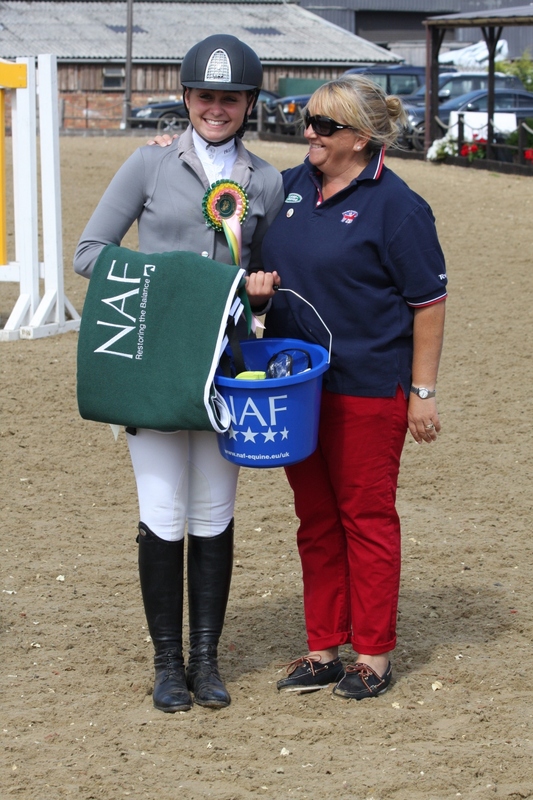 On the afternoon of the 20th, the packed venue held a round of the NAF British Showjumping Horse and Pony Five Star Performance Awards programme at one and two star levels. 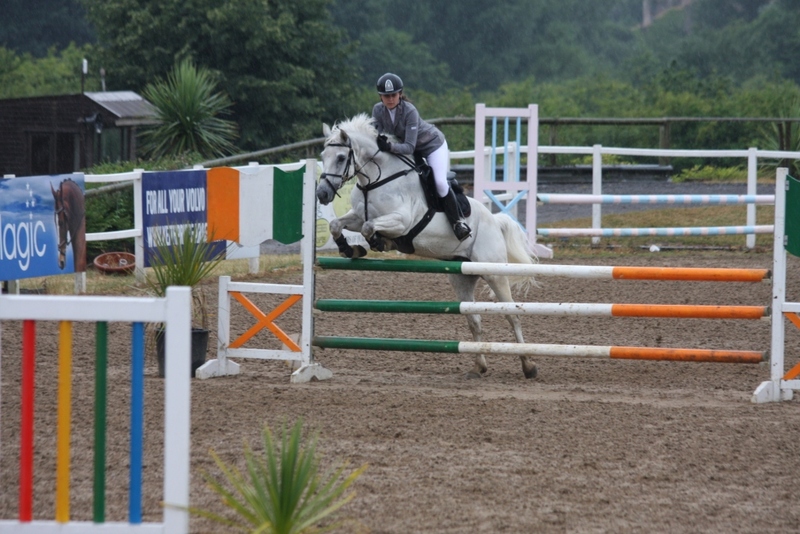 Riders are required to perform a round of Showjumping and then display control skills in a dressage style round, working to a floor plan that includes walk, trot on both reins, canter on both reins and halt. The Showjumping section is judged separately on style. 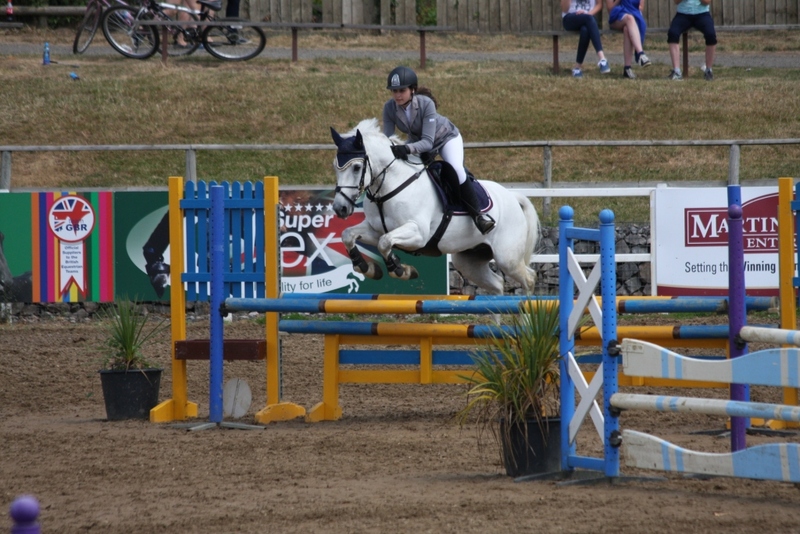 Libby was riding her talented Connemara Kinvara Silver Star and was placed first out of a very big class of young riders all keen to take the top slots. 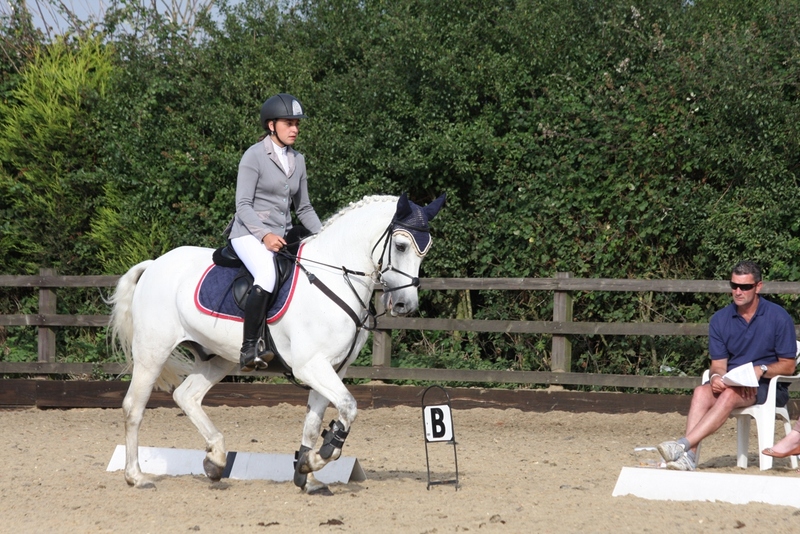 The PONY Five Star Performance Awards are designed as a series of progressive standards which provide pony riders with a focus for their training, improved performance in the ring and improved stable management skills. 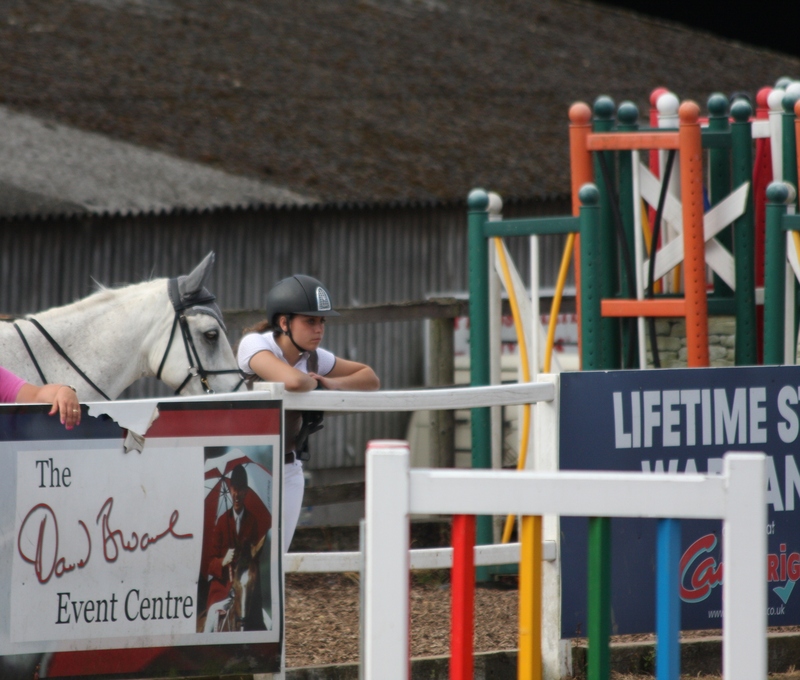 These awards start from instilling the correct basics and fundamentals through to encouraging young riders progression onto competitive pony riding through to supporting their step onto horses. The aim of the programme is also to instil stable management knowledge, respect of the rules as well as ethics of sportsmanship and recognition of good performance over results. The awards also provide preparation for riders who wish to compete on Home Pony National teams and FEI International teams. Libby was also part of Team Sussex who gained Team Bronze during the Junior Inter-Academy Team Finals Competition. Well done to Libby and to all the Sussex British Showjumping Junior Academy team members for a lot of hard work and a truly fantastic two long days of heavy competition. 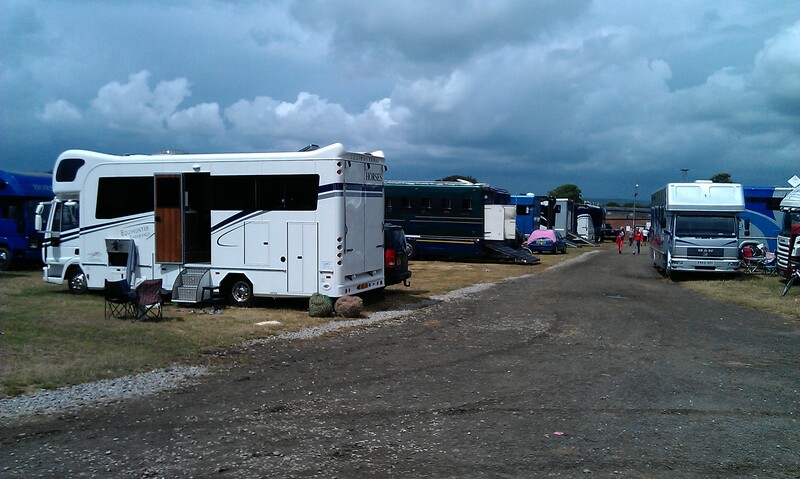 [Equihunter] When designing the EQUIHUNTER ENDURANCE it was important for us to maintain a look of a continuous working area in the kitchen area. 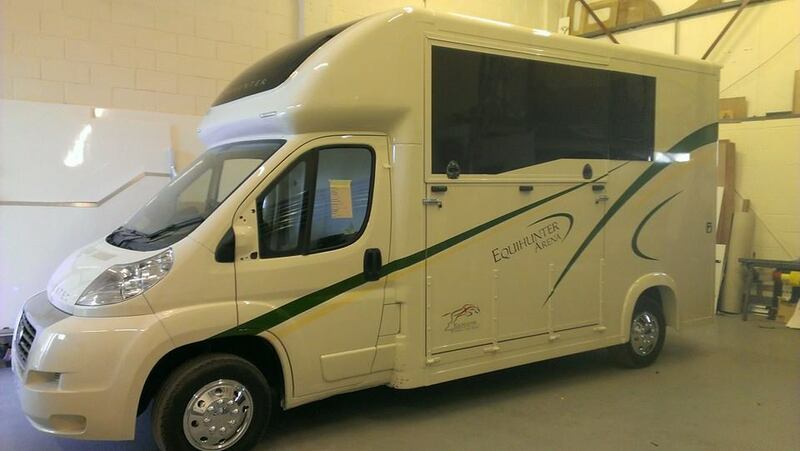 Not only was this to maximise the amount of flat surface to work on during food and drinks preparation, but also we wanted to enhance the clean cut lines of the entire interior of this exclusive Horsebox. Forget Diesel powered cooking, with fuel prices as high as ever it’s only going to get more and more expensive. On the other hand, LPG is half the price and has far lower harmful Co2 emissions. So rather than choose from the myriad of aluminium hobs available in the leisure vehicle marketplace, we decided to opt for a more expensive solution but one that was just the ticket in terms of design. 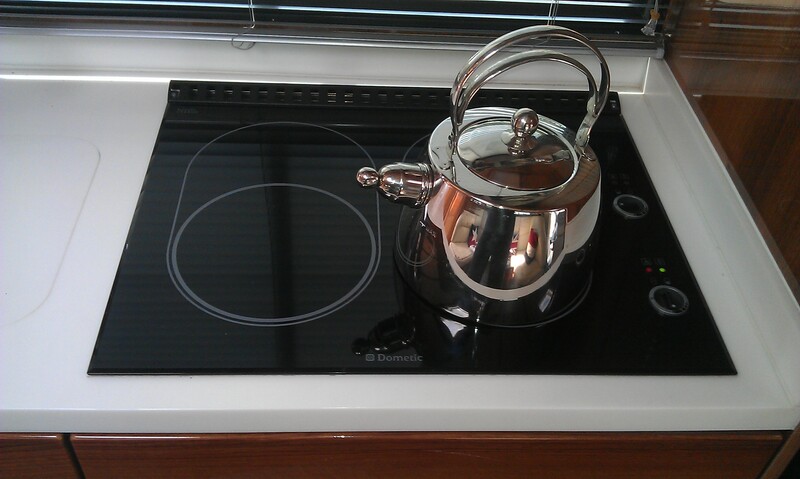 So we chose from the Dometic range, a cooktop that was powered by LPG but fired up via a 12 volt electrical system. This unit originally designed for the marine industry fitted our requirements perfectly. It couldn’t be more efficient: the new Dometic CC 11 ceramic cooktop operates on a special principle that makes cooking more fun and reduces the gas consumption at the same time. Each hotplate of the black or white ceramic cooktop has a simmering plate behind it which is heated by the flue gas from the burner in front. This allows cooking in two pans with only one burner turned on. The bottom-line is a total of four easy-to-use cooking areas consuming only 210 grams of gas per operating hour at a generous heat output of 1.6 or 1.3 kilowatts. The highly efficient burners on the Dometic CC 11 are ignited via the 12-volt vehicle electrics. It takes them just 7.5 minutes to boil a litre of water. 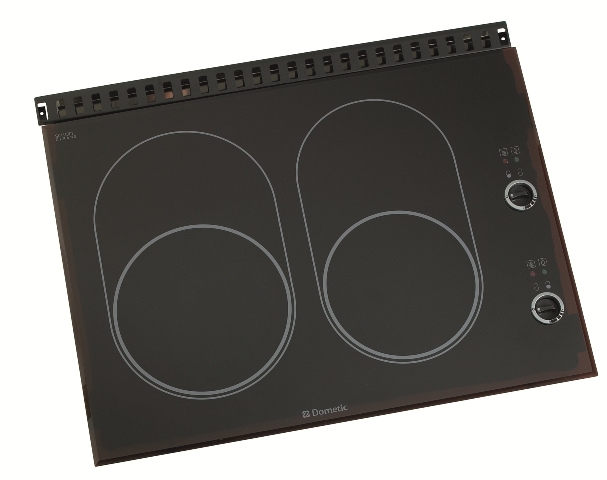 Mobile technology specialist Dometic has developed the CC 11 gas operated ceramic cooktop as a convenient upgrade version to replace the company’s best-selling gas hob, Dometic PI 8023. The Dometic CC 11 has the same built-in dimensions and can be retrofitted with minimal effort. Its frameless, bevelled glass surface fits perfectly flush with the surrounding worktop and is very easy to clean. Installation is facilitated by the fact that there’s no chimney required. 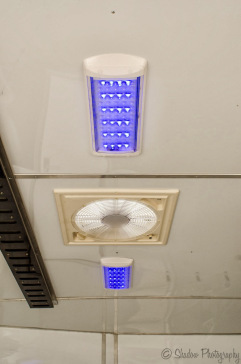 Last but not least, a reliable hot surface indicator makes for safe operation.